SI Joint Pain is an extremely debilitating condition that is said to account for up to 30% of all cases of low-back pain. Read on to learn all about this joint pain including its symptoms, causes, diagnosis and treatment options. SI Joint Pain, also known as Sacroiliac Joint Dysfunction, is the name given to a severe pain in the lower back and legs. The condition affects both children and adults. The inflammation resulting from this condition can be quite debilitating. 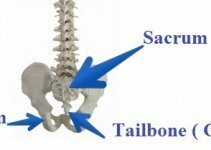 The condition is caused by some type of dysfunction of the sacroiliac joint. The bone of the SI Joint is covered by a layer of cartilage that acts as a shock-absorber. When the cartilage layer between them wears away, the bones come into direct contact and start rubbing each other. This results in SI Joint dysfunction. Pain may also arise from a sudden trauma or repeated exertion of force over long periods of time. In older women, pregnancy is considered to be one of the major causes for this problem. If an individual has one leg shorter than the other, the abnormal alignment may also result in this condition. Physical activities tend to deteriorate the condition. Painful symptoms can be triggered in case of activities like bending forward, hill climbing as well as climbing and descending stairs. 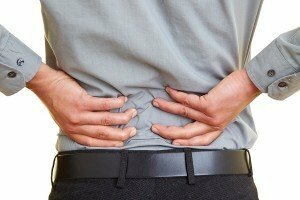 Maintaining the same position (like lying, sitting and standing) for a long time can also worsen the pain. Individuals with Sacroiliac Joint Dysfunction may often suffer from depression and insomnia. Diagnostic tests used for identifying bone problems are not generally implemented for detecting this condition. 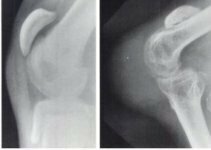 Common radiological imaging cannot be used to diagnose SI Joint Dysfunction as it often leads to a misdiagnosis of the condition. Modern diagnostic tests like CT scan, X-ray and MRI are also unable to reveal any abnormalities of the SI joint. This is a pain provocation test to apply torsion to the sacroiliac joint. In this test, the patient is asked to keep one hip twisted onto the abdomen while the other leg is kept swinging off the side of the table. Downward pressure is then applied on the leg for achieving hip extension that stresses the SI joint. This test involves applying pressure on the anterior superior iliac spine to distract the anterior sacroiliac ligaments. In this test, patients have to lie on their side in order to apply pressure over the Sacroiliac Joint, specifically on the topmost iliac crest. In this test, a patient lies down on a flat surface while the clinician rotates his or her hip externally to detect any pain resulting from the SI joint during abduction, flexion and external rotation. The joint and the hip are then put under stress by applying downward pressure over medial knees. Patients are made to lie down and keep one hip bent at a 90 degree angle while anteroposterior shear stress is applied on the Sacroiliac Joint. A quick thrust or pressure is applied to the legs of patients through the line of the thigh bone to check if there is any abnormality in the functioning of the joint. All these tests give rise to a typical pain which indicates the presence of Sacroiliac Joint Dysfunction. However, a single test alone cannot help diagnose this condition correctly. Clinicians should consider nerve root pathology in case of true neurogenic numbness, weakness and loss of reflex. Treatment generally depends on the severity and duration of the condition. If a patient is suffering from a mild sacroiliac sprain during the first 1 to 2 weeks (acute phase), he or she is prescribed rest, heat/ice, anti-inflammatory medicines and physical therapy. If this fails to alleviate pain, the patient is given steroids and some anesthetic mixtures are fluoroscopically injected into his or her SI joint. This also helps confirm the diagnosis. Manipulative as well as manual therapies are also performed without involving aggressive spinal adjustments. Injection therapy has an anti-inflammatory effect which is temporary and causes the pain to come back after a certain period of time. The enfeebled joint cannot be stabilized by this therapy as well. However, doctors generally do not suggest surgery for treating Sacroiliac Joint Dysfunction. This is due to the fact that operative procedure is extremely painful. In some cases, however, surgery is the only way to relieve the SI Joint Pain by stabilizing the Sacroiliac joint. A joint fixation surgery (which involves use of screws, wires, pins and other similar tools) is used more commonly than a spinal fusion. Acupuncture is also considered to be an effective way of treating this problem. In chronic or severe cases of the condition, a sacroiliac belt is used to support the joint. Prolotherapy (Proliferation Therapy) injections are used to regenerate and heal the injured ligaments surrounding the affected area. Injection therapy and surgery are also part of the SI Joint Pain treatment. Doctors often prescribe certain medications for relieving the sacroiliac joint pain. Various over-the-counter NSAID medicines, such as naproxen (Aleve) and ibuprofen (Advil), help alleviate the pain. However, prolonged intake of NSAIDs may give rise to certain health problems. Sacroiliac Joint Dysfunction is considered to be one of the most common conditions to arise during pregnancy. The mechanism that stabilizes the SI joint is generally affected during this time. The increased motion due to this instability is stressful for the joint. Furthermore, the altered walking and moving patterns and the additional weight associated with pregnancy are also stressful on the SI joint, which ultimately causes severe pain. There are certain exercises that help to control the pain during pregnancy. The recovery time for this condition differs from patient to patient. It depends on the compliance of the patient with physiotherapy. It generally takes 2 to 3 weeks for the pain to be cured completely with proper treatment. However, the damaged tissue takes around one and a half months to restore most of its strength. Hence, care should be taken that the injured tissue does not come under further stress before it heals properly. It is best to take certain measures to prevent this pain before it occurs. One should warm-up properly before performing any high-impact activity like lifting heavy weight and climbing rocks. Warming-up helps to keep the muscles around the hips flexible to avoid any sudden trauma. It also ensures enough shock absorption which helps to avoid any joint injury. If an individual suffers from mild pain from certain activities, he or she should avoid such activities. This helps to prevent SI Joint Pain in future. Exercises strengthen the hip muscles and help provide support to the SI joint. Stronger muscles, ligaments and tendons help prevent Sacroiliac Joint Dysfunction. SI Joint Pain, or Sacroiliac Joint Dysfunction, is a curable condition. With proper treatment and aftercare, the damaged tissues can recuperate and become functional once again. SI joint dysfunction can cause severe pain if left untreated. Naturally, patients of this disorder should seek immediate treatment to prevent worsening of the problem and get back to health as soon as possible.